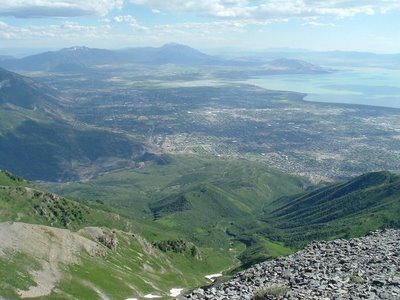 Today we hiked to the top of Timp as a final task in the training for the Brian Head Epic. There was still too much snow to safely go from the Aspen Grove trail head to the top, but we were stupid and did it anyway. This was a good final training for the race. 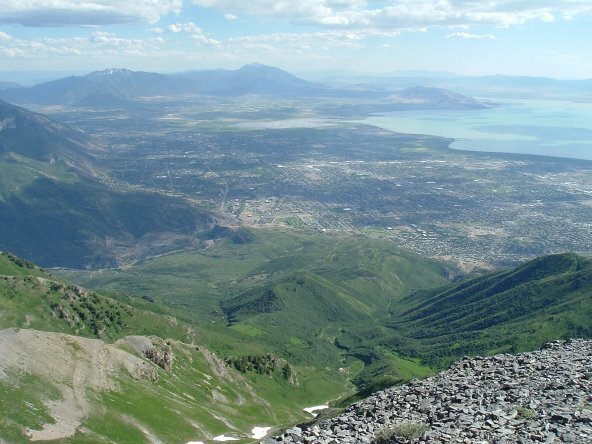 Here is a picture from near the top looking down on the Provo Canyon/Dry Canyon area where we do a lot of biking.